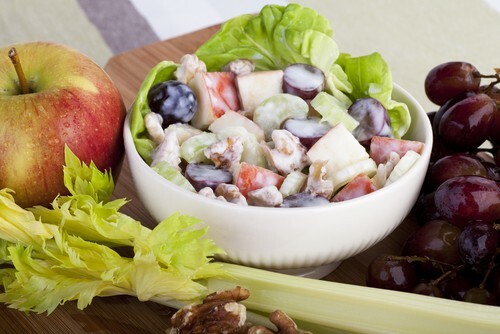 In a large bowl combine the apples, celery, dried cranberries and lemon juice. In a smaller bowl combine Jimmy’s Extra Chunky Blue Cheese Dressing and sugar. Pour dressing mixture over apple mixture and toss to coat. Cover and refrigerate for at least 1 hour. Sprinkle walnuts on top before serving.